Fall is my favorite season. I love the fresh, crisp air. I love the turning of the trees. Baking is one of my favorite past times, and there are so many incredible things to bake in fall! This weekend my girls and I got to celebrate fall with just us girls. Dad, on his annual golf trip, missed out. It started with a rainy Friday evening. Not to be deterred, we ate Japanese food (my favorite having grown up in Japan). We then ventured on to Hobby Lobby to select some items for bedroom makeovers and a new fall wreath. It took some negotiating-wouldn’t expect less with three “women” working on one project! Then some hot chocolate and a movie snuggled on the couch. Another reason I love fall. Saturday was beautiful. 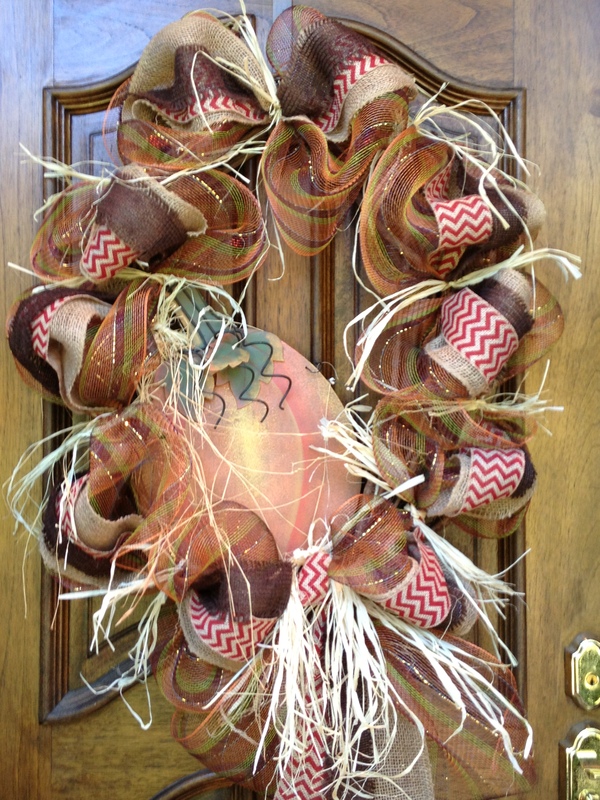 We got off to an early start and tackled our fall wreath. I’m pretty proud of our first attempt. When all was said and done, we agreed our selections were just right. The outcome of some great negotiating. The girls had lots of studying to do, so gathered in the great room, they studied and mom got to read. I love that as I continue on this journey to determine what this SecondSeason will hold, more recommended books come my way. I am wrapping up Beth Moore‘s Breaking Free bible study. I had been through this study earlier in life, but some family situations and a general sense of discontent led me back to it. I must say it has been much more powerful this second time around. I have been oppressed by my own fears. I have let the imagination run wild. What if we don’t have enough saved for college? What if my child with learning disabilities gets discouraged and loses hope? What if I run out of time to impart all that I want to impart? What if the economy crashes yet again? Does anyone else go there? I have long struggled with worry. I am learning now to release it-which begins with acknowledging it as sin. It is a daily struggle to lay it down. I realized this weekend, while beginning another book, One Thousand Gifts by Ann Vaskamp, I’ll never successfully lay it down until I replace it with something else. So, as I enter fall I am entering 31 days of gratitude. I am daring myself to live fully where I am. Thirty one days to look moment by moment for the gifts God gives. Thirty one days to say “thank you”. Thirty one days to change my perspective and continue on this journey. Thirty one days to replace unwarranted fears with truth.